Malik Jackson played three seasons in Jacksonville after spending his first four seasons with the Broncos. He has 32 career sacks. The Eagles have agreed in principle to sign free agent defensive tackle Malik Jackson to a three-year contract, an NFL source said Monday. The deal is worth up to $30 million, the source confirmed. Jackson, 29, was released by Jacksonville last Friday. It was only three years ago that he was one of the NFL’s top free agents when he signed a six-year deal worth up to $90 million with the Jaguars after four seasons in Denver. 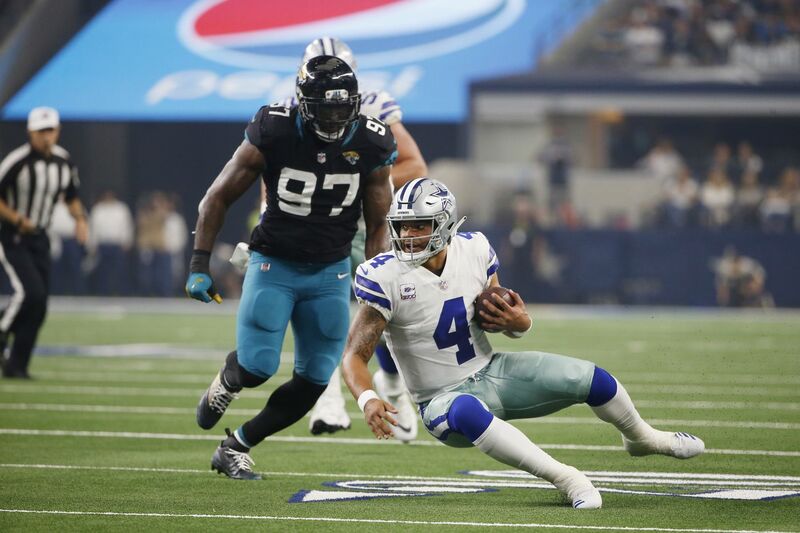 Jackson earned a Pro Bowl invitation two seasons ago when he posted a career-high eight sacks, although he lost his starting job with the Jaguars last season. Still, the 6-foot-5, 290-pound Jackson fits the Eagles defense as a penetrating defensive tackle, and the Eagles hope he can thrive next to Cox. Jackson had 18 sacks during the past three seasons and has 32 sacks in his seven-year career. He’s a versatile player who can play different spots along the line, although he’s not known for his run defense. He was slated to have a $15 million salary cap number for 2019. The Jaguars moved on from Jackson because of his hefty price tag – they needed to open space to sign Nick Foles, after all – and he will not count against the 2020 compensatory pick formula that the Eagles are closely monitoring because his contract in Jacksonville did not expire. While the legal tampering period before free agency opens Wednesday starts Monday at noon, the Eagles can officially ink Jackson at any time. All-pro Fletcher Cox, of course, returns, but the Eagles lacked depth. They were looking to upgrade the interior of their defensive line after they declined the option on Tim Jernigan last week. Haloti Ngata is also expected to walk after one year with the Eagles. They like to use a rotation, and Treyvon Hester is now behind Cox and Jackson. Jackson’s signing doesn’t preclude the Eagles from drafting an interior lineman high in next month’s draft, which is said to have maybe the deepest collection of defensive linemen ever. The Eagles have addressed offensive line and defensive line, along with wide receiver. Look for them to continue monitoring depth at those spots, but their priorities in free agency will likely shift to running back, linebacker, and backup quarterback.